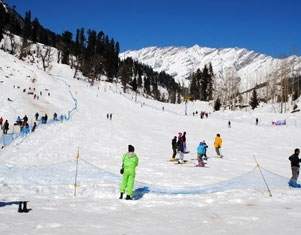 After breakfast, proceed to full day Manali local sight-seeing visiting Hadimba Temple, Manali Club House Tibetan Monastery, Van Vihar&Vashisht temple famous for Hot Springs. Overnight stay at Manali Hotel/Resort. After breakfast, proceed to Chandigarh-The City Beautiful. On arrival check-in to the hotel. Spend the evening for leisure/shopping activities. Overnight stay at Chandigarh Hotel. DAY 7 : CHANDIGARH DEP. After breakfast, proceed for half day city sightseeing tour of Chandigarh visiting Rock Garden, Rose Garden and Sukhna Lake. Later pack your baggages with a promise to return once again to this paradise…. Proceed on time to board your flight/train with sweet memories of your holidays. We await for your next visit … Bon Voyage. Service ends.